Here's a patched changecolor.sh that doesn't have the bug that mangles transparency. It now depends on GraphicsMagick and does not depend on gif2png or ImageMagick. 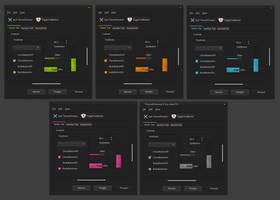 gtk3 theme turns selected icons black. anyone else have this problem? Hey sixsixfive! 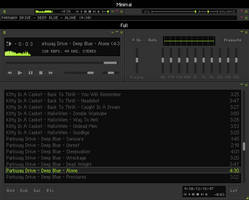 Thanks for all the great work, I like this theme so much I ported it over to QtCurve. I started with your Base theme and worked my way back. I'm not a theme maker at all but I think its pretty close. 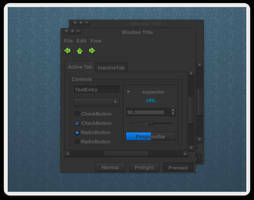 it works great in qtcurve's gtk2 engine so far. Oh crap, this theme is incredible. So incredibly beautiful. And I love the SLiM theme. >Do you think that's fixable? 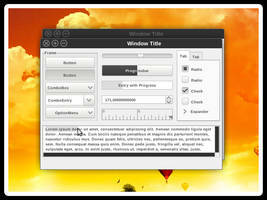 Can you try update the theme for GTK 3.10? I love this theme, it looks great. Thanks! I'm running Debian Wheezy 64-bit. On your screenshots I see a green bar below the titlebar on every window but I don't see that. Do you have any idea how I can get that too? Cool! 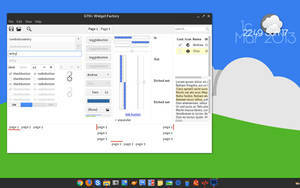 Installing gtk2-engines-pixbuf fixed it . Just installed this and it looks great except for the fact that the windows don't have a bottom border any idea how to fix that? Well... maybe it needs more work actually. 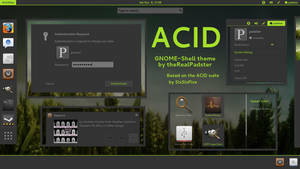 I went and changed to another theme for a moment, tried to get ACID back, nothing is working. Seems it reverts to something else as soon as anything else is selected. I didn't do anything unusual, so if it's broke on my system, it's only gonna work with the initial setup you've outlined above- to have to re-do that every one might want to use the theme is more than any normal consumer of an OS is going to be willing to do- it needs to work once it's installed and selected from the settings/theme menu. But looks great right off the batt- one of my fave's and I've seen TONS- 10/10 once you get it consumer friendly! 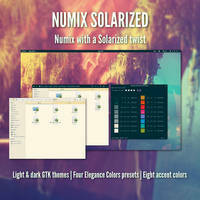 By the way, I recommend you drop this over to Clem at LinuxMint for the next release in their xfce version- I think it would be a great theme for them to have included and set up as part of the xfce defaults when they put out the next release. Really nicely done, client side!!! wow. 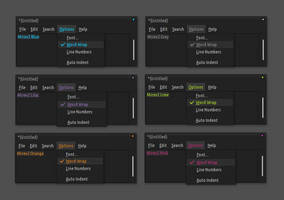 The change color script needs "ImageMagick" and "Gif2png" (2.5.8+) to be installed, just FYI. 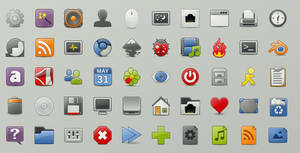 Also, what do I need to do to get the icons to appear next to the window buttons on my panel bar? I just applied this and I Love it, except for one small problem...when I used the changecolor script, I'm guessing the image colorization process got rid of the transparent backgrounds on a lot of the images...for example, all of the arrow images (ie arrow-down-active.gif) have white backgrounds instead f transparent. WhenI first ran the script it said I didn't have gif2png or something, so I did a sudo apt-get install gif2png (or png2gif, can't remember) and ran the script again and it worked...but like I said...the transparent backgrounds are gone...what should I do for that? This is great! I love how you also left an option for the users to choose their colors. One question though, is there a way to exclusively change the line color? Or alternatively, is there a way to exclusively change the font color? 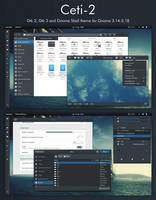 A friend of mine has this question regarding the use of this theme: "After a reboot, my window icons have disappeared from my panel. 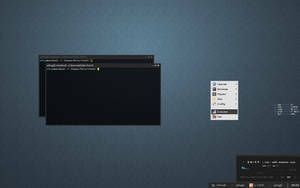 I'm running xubuntu 12.10 with xfce 4.12. I really love the theme, but I need to see the window buttons! Any thoughts?" Thank you very much! Looks lovely on my Arch desktop, all I need to do now is just find some monospace fonts and I'll have the most ricer desktop on the block! Nah, but in all seriousness, it's a great theme. I particularly like the small title bar and the line below it. It has an interesting visual affect and it's done in good taste. Lime green isn't my first choice of colour, but I can understand your reasoning, and hey, I can probably edit it to something a little nicer. Overall, 8/10. Outstanding work. 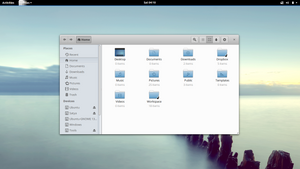 Which distro is that in your screenshot? 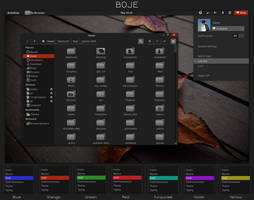 Do you know if I can use this theme in Fedora 18 Xfce x86/32-Bit? Or if it'll work? 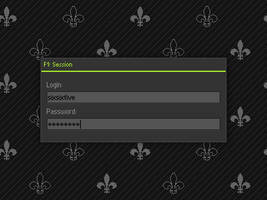 Moved the archive to the themes folder via the Terminal command in the first step. but i have a little problem when the window is reduce i see a blank icon. i see the icon only when the app is visible. how can i fix that problem ? 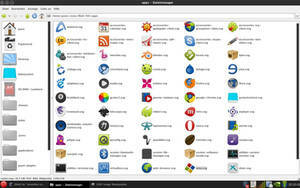 to reactivate the icon in the xfce-panel because i use it like win7 with only icon. I don't really understand what you wanna do but this should do it. 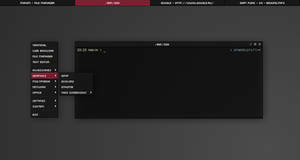 "*ThunarWindow*GtkToolbar" with "*ThunarWindow*GtkMenuBar" you may need to change the menuitem too if and if you want only to change the font color you can add a GtkLabel as class eg "*ThunarWindow*GtkToolbar*GtkLabel"